Have You Found Your Music? Sometimes during the crazy life of being a college student (or whatever is making your life crazy) you need to take time and read a children’s book. Trust me, your day could turn out to be better just because you got to escape into a quick, cute story with lots of pictures! I read a children’s book last year that I have since added to my favorite children’s book list. I like this book so much that whenever I give presents to people who are in their earlier years, I give them this book. Why do I love this book? There are two main reasons. First, the artwork in the book just makes me happy. When I look at it, I just go “WOW.” The second reason is because the message of the story still sticks with me, motivating me to keep going, keep trying, and keep serving. 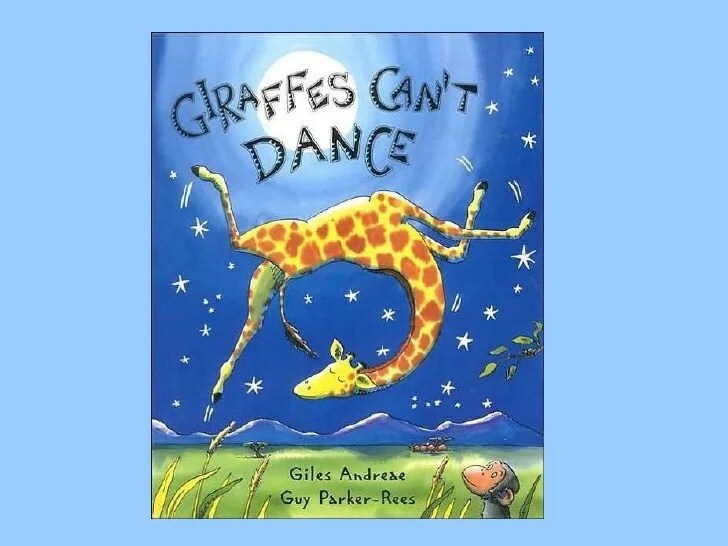 The book is called Giraffes Can’t Dance. 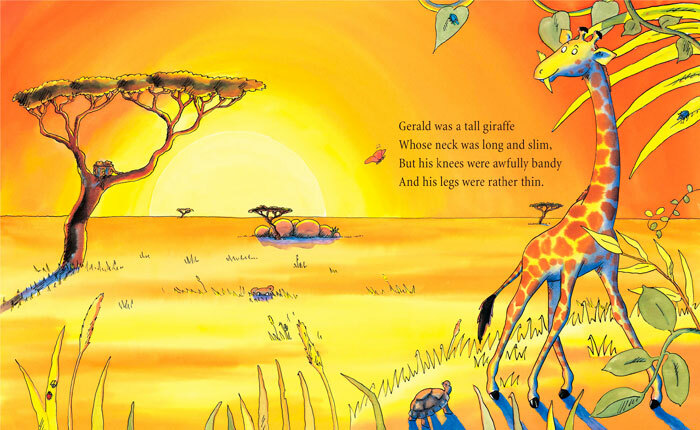 The story follows a Giraffe named Gerald whose legs bend in a different way, causing him to have some troubles walking. Each year, all the animals in the jungle come together for a dance party. Gerald always feels so awkward because he tries and tries and he just can’t get the hang of dancing, and all the other jungle animals laugh at him. One night after being completely embarrassed at the dance party, Gerald goes into a clearing in the jungle and looks up to the moon. That’s when his new friend the cricket comes up to him and asks him what is wrong. Gerald says to the cricket with a very sad face that all the other animals say he just can’t dance. That’s when the cricket suggests that maybe Gerald hasn’t found the right music yet. The cricket then plays his violin and suddenly Gerald is the best dancer in the whole jungle. All of his jungle friends come and look in awe over what Gerald can do. Gerald found music that he loved, helping him to become a great dancer. I think that Gerald’s story of finding his music correlates to me and my service story. When I first came to Fresno State I couldn’t find anywhere to serve that felt right. I kept feeling this way until I found Alternative Spring Break and Saturday Sports! Both these programs had me working with children, playing sports, making art projects, and creating a safe place for kids in the Fresno community to play. I found service work that I could actually do and do a good job at it! 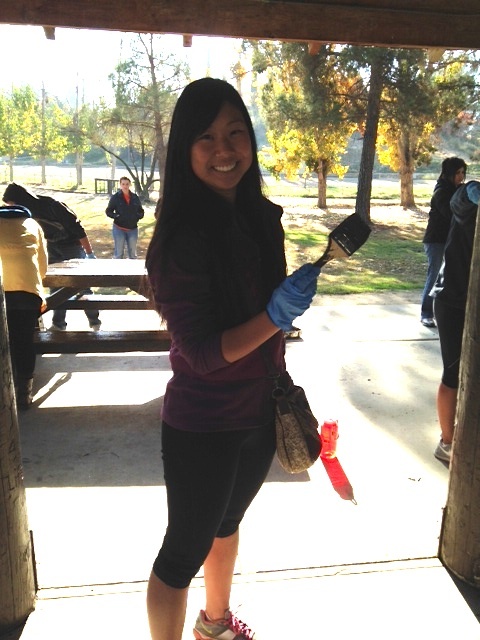 I truly felt that not only was I giving back, my service work was giving back to me. I found service work that made my heart smile. Sometimes you try and try and you just don’t feel like you have found where you need to serve, you feel out of place, you might even begin to think that you can’t even give back at all. But, my friend, that is so not the case – you just haven’t found your music yet! Just like how Gerald found his music, you will find a place to serve and you will thrive. Don’t worry if you haven’t found yours yet, KEEP TRYING! You might be wondering where to start. There is a fabulous resource on campus that can act as your cricket and give you service opportunities that you would have never thought of! Stop by the Richter Center in the Thomas Building, Room 107. I also encourage you to sign up for the by-weekly service newsletter The Epicenter, this resource is filled with all kinds a different opportunities. Try different things out. These two resources can surely get you on your track of finding your service. Have you found your music that YOU love? Have you ever volunteered or served somewhere that you didn’t expect that you would like, but did? Are you currently serving the community? Have you ever been into the Richter Center? With such a great issue, many wonder: is there anyone doing anything about it? Well, great news! 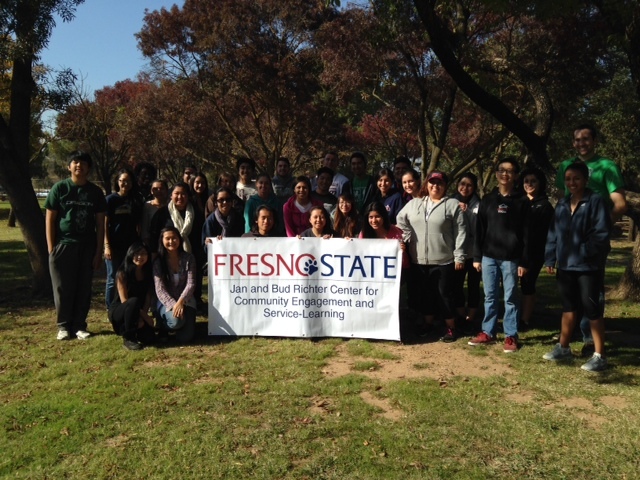 Our very own Fresno State Students have jumped on board and have become a chapter for the Food Recovery Network (FRN). Now partnering with Fresno State’s University Dinning Hall, local restaurants, and farmer’s markets, the FRN is helping people who are food insecure in the Fresno Community. 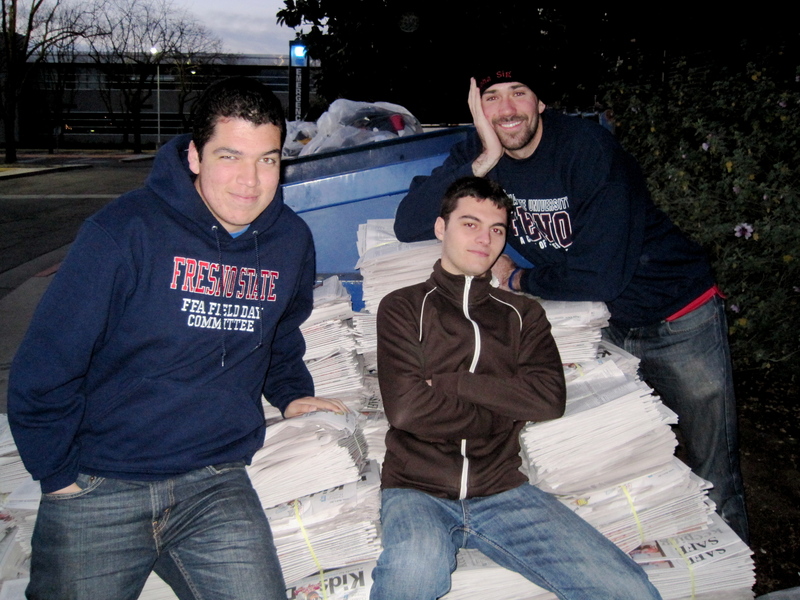 Fresno State’s Food Recovery Network is proud to say we have recovered over 38,674 pounds of food to date. Amazing! Well, now it is your turn to jump on board. 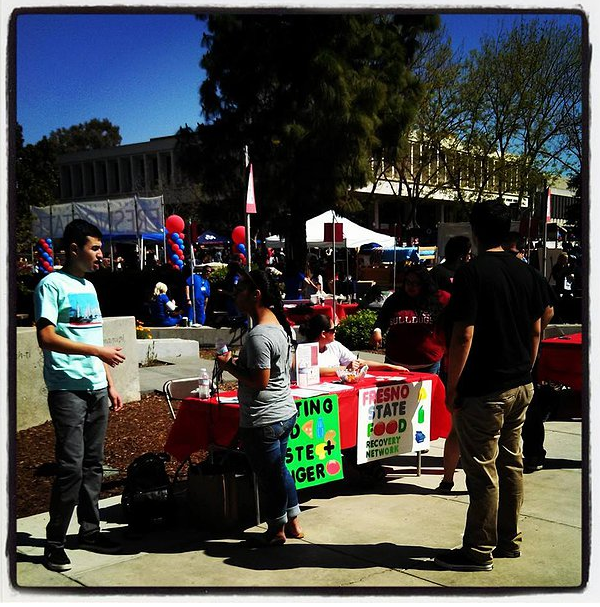 The Fresno State’s FRN will be tabling this Saturday, September 27, 2014 at the Health and Wellness fair on the Fresno State campus. Come to the event to learn more about FRN and several other heath and wellness initiatives. Watch this short clip on Fresno State’s food recovery efforts. Do you know any community restaurants that will be willing to partner with the food recovery network? Contact the Food Recovery Network at frnfresnostate@gmail.com! 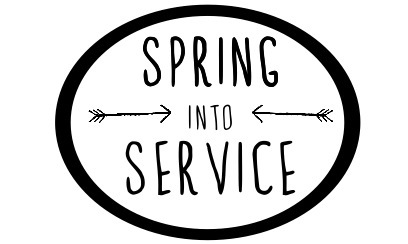 Kid’s Day: Are You Ready to Serve? 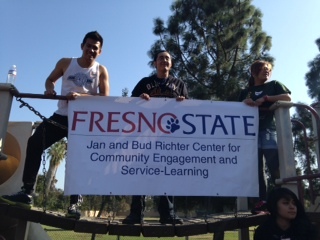 Fresno State students have fun working together to raise money for Children’s Hospital Central California at a previous Kid’s Day. It’s that time of year again; the flowers are in bloom, the birds are chirping, and the sun is driving away the chill of winter. The signs of the changing season are everywhere, including on the streets of Fresno where volunteers will be gathered in mass on Tuesday, March 5th armed with newspapers and friendly smiles in hopes of raising money for Children’s Hospital Central California. 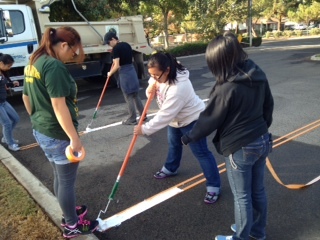 It’s quite an inspiring sight to drive through Fresno on a Tuesday morning and see volunteers gladly giving their time and having a lot of fun in the process! I highly encourage you to join your peers next Tuesday as they sell special editions of The Fresno Bee. 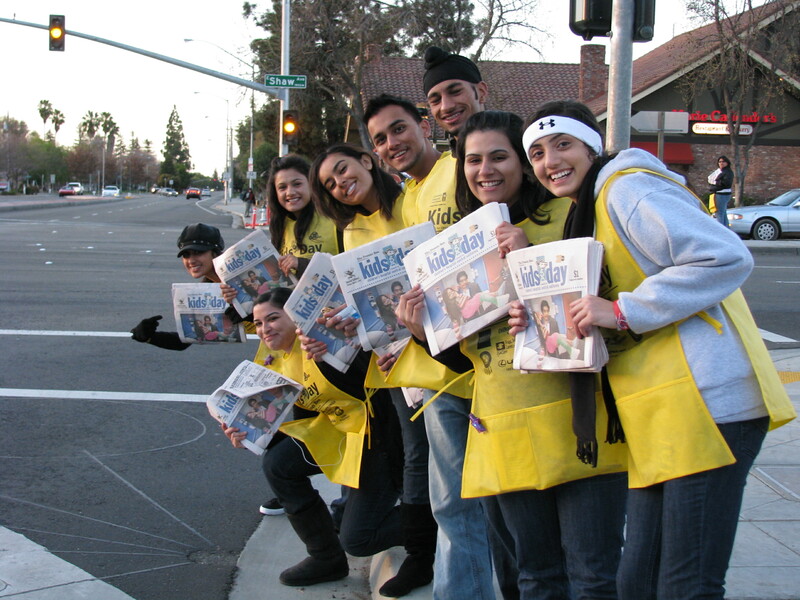 Join the volunteers throughout the valley who will be braving the brisk morning air to stand on street corners and sell copies of the Kid’s Day newspaper. At Fresno State, Kid’s Day is big deal. Last year, the students, staff, and faculty of the University collectively raised over $36,000 for Children’s Hospital Central California. It is absolutely extraordinary that the Fresno State community is so willing to give of their time for this worthy cause! Richter Center Ambassadors arrive to campus at dawn to help distribute papers to student clubs and organizations . We love seeing how excited our peers are to get started selling papers in order to raise money and awareness for Children’s Hospital Central California! As a Richter Center Ambassador, it is my duty to convince my peers to get involved with service and I cannot think of a more fun project than Kid’s Day; trust me, if you are looking to have a lot of fun and want to have the contentment that comes with the knowledge that you are helping kids right here in the Central Valley, this is the event for you. You don’t want to miss out! “To empower children and families to achieve productive, self-reliant lives” is the mission of Reading and Beyond. This organization is focused on helping children gain skills and abilities that are necessary for a successful life. Research has found that helping families as a whole is just as important. 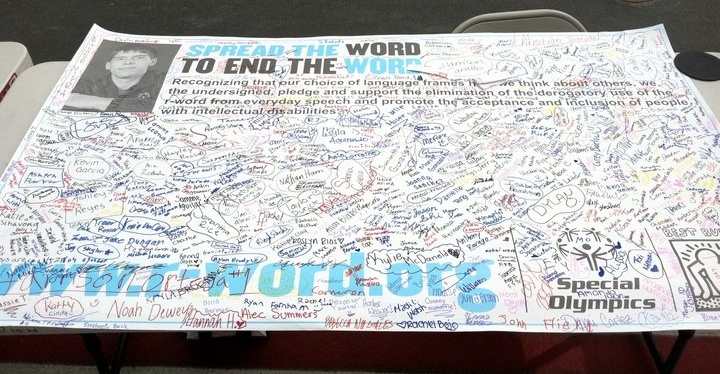 Reading and Beyond is dedicated to building long-term relationships with families in order to keep children as distant as possible from any unhealthy behaviors. Reading and Beyond does not only focus on schools to reach their desired population, but they also work within apartment complexes, shopping centers, and community organizations. They also conduct educational home visits. If you are interested in working with children, then Reading and Beyond is a great place to start gaining experience. 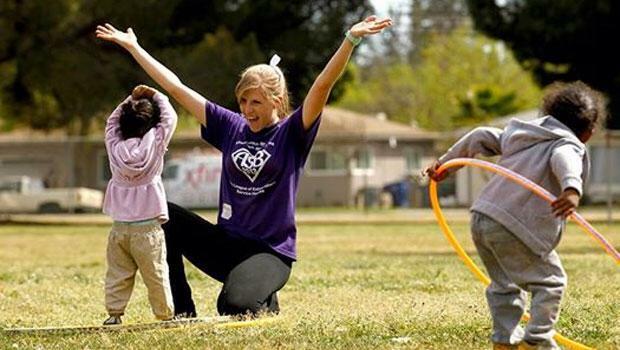 There are many sites around the Fresno area, and they offer flexible volunteering hours. For more information, visit readingandbeyond.org. Volunteers at the Poverello House prepare food for those in need of a warm meal. Photo credit: http://www.poverellohouse.org. For the last 39 years, Poverello House, a nonprofit organization in the San Joaquin Valley, has been helping those in need. When people don’t have a place to sleep, Poverello House is there for them with shelter. When people do not have a bite to eat, Poverello House is there for them with a warm meal. The services offered there are for all people from different walks in life. On a daily basis, the organization touches the lives of the homeless in the Valley, women and children in need, the elderly, and also migrant farmworkers. Before I spoke to them at last semester’s volunteer fair, I didn’t know that this organization, located at 412 F Street, is more than just a soup home. Other than providing warm meals, they provide people with shelter at all of their three facilities: Naomi’s House, a facility proving overnight shelter for single childless women, and the Michael McGarvin Jr. Village of Hope and Community of Hope, which provide people with an opportunity to better themselves by allowing them longer stays, not just overnight shelter. Other services they provide to people are substance abuse rehabilitation programs, as well as both individual and group counseling. They also have a clinic on site that provides free medical and dental services. As I was looking at their website I thought it was really cool how they even have a Homeless Court. This Homeless Court is for those individuals who are in a rehabilitation programs and want to fix any problems they may have had with the authorities. 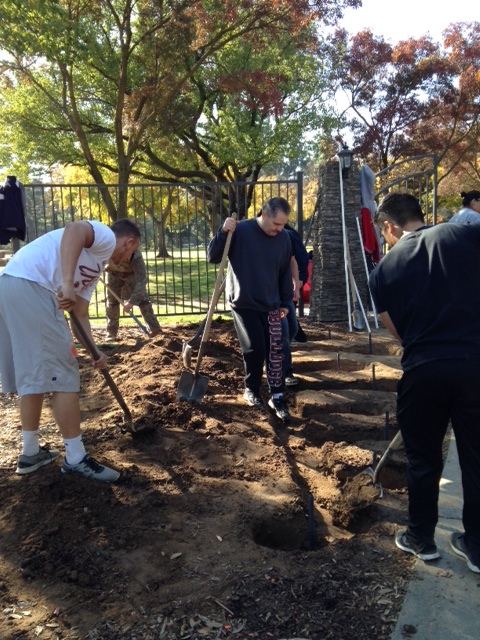 Volunteers donate their time at the Poverello House in Fresno. Photo credit: http://www.poverellohouse.org/. As is with all nonprofit organizations, most of the work done at the Poverello House is by volunteers. So if you are ever looking for a place to volunteer or make a change in someone’s life, Poverello House welcomes anyone with a giving heart.